China plans to build a $100 million garden in Washington D.C. This summer, a construction team is expected to begin transforming a 12-acre field at the U.S. National Arboretum into one of the most ambitious Chinese gardens ever built in the West. By the time Chinese artisans finish their work some 30 months later, visitors will encounter a garden containing all the elements of a classical Chinese landscape: enticing moongate entrances, swooping and soaring roof lines, grand pavilions with carved wooden screens and groves of golden bamboo. The grounds will boast two dozen handcrafted pavilions, temples and other ornate structures around a large central lake. Its backers undoubtedly hope that the National China Garden will become a Washington landmark and achieve for Sino-U.S. relations what the gift of the Tidal Basin’s cherry trees has done for Japanese-American links for more than a century. The Chinese government is so anxious to have the garden that it has agreed to foot the entire bill, which approaches $100 million. Filed Under: Clippings Tagged With: china, garden, National China Garden, Washington D.C. Wondering how many kinds of trees there are? There’s now a database that can answer that. 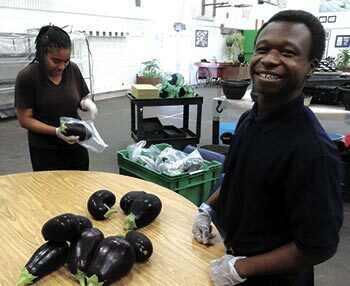 The Charles Drew Transition Center has become a national model for methodology and programs developed to educate special education students in the areas of Horticulture Science. The Charles R. Drew Horticulture Program has been named the recipient of a 2017 Magna Award, sponsored by the National School Board Association. This award recognizes the Drew Horticulture Program as one of five innovative programs nationwide recognized for outstanding content, student involvement, and impact on school culture and local community. For more than 20 years, the Magna Awards has been a national recognition program that honors innovative programs that advance student learning. Drew’s Horticulture Program was chosen for this highly prestigious award from among more than 2,650 applicants submitted from across the country. One hundred seeds: That’s the number Minara Begum needs to plant in her Detroit backyard in order to grow enough vegetables such as squash, taro root and amaranth greens to feed her family for the year. She learned to cook and garden at a young age in Bangladesh. In the two years since she moved to the U.S., she’s grown traditional South Asian crops to feed her family — and whoever visits — on any given day. There’s always a pot, or several, on the stove. For Begum, this is a way of life. But through Bandhu Gardens, in Detroit, Begum and her neighbors are able to leverage their culinary skills into an entrepreneurial venture. Bandhu Gardens sells surplus vegetables that are grown in the backyards of about six families to a handful of popular area restaurants. Last year they sold 120 pounds of greens, beans and peppers and 25 pounds of squash to restaurant accounts. Entrepreneurs are taking advantage of inexpensive former warehouses and factories in Detroit and transforming them for agricultural use to produce local foods. There’s a growing movement of using vacant buildings and spaces to produce lettuce, basil and kale, and even experiment with fish farming — year-round. And the city is considering regulations that could expand indoor agriculture even more. 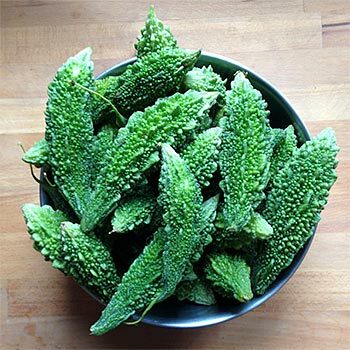 “Fifteen, 20 years from now, we want people to say, ‘Of course they grow kale in that building,’ ” said Ron Reynolds, co-founder of Green Collar Foods Ltd. It built its first indoor-farming research hub in Eastern Market’s Shed 5 in 2015.